Use Perfect Property to find your next perfect house to buy in Glasthule. Glasthule is a quiet seaside town located 13km south of Dublin’s city centre. It is about a 30-minute drive by car via the R118 Motorway. The DART and a number of Dublin Bus routes primarily service the area. There is also a 24-hour Aircoach service linking to the Dublin Airport. Glasthule is quaint and has a population around 2,700. Glasthule homes are traditional in architecture and coastal charm. Residences are treated to views of: a picturesque coastline, verdant parkland, leafy greenery, blossoming gardens, mature trees, pristine landscaping, and beautiful shrubbery. Properties retain old-world Period aesthetic, and one can expect to find homes of: Victorian, Georgian, Mid-Century, Terraced, country, cottage, modern, and contemporary. New construction and refurbished dwellings are equipped with: modern amenities, tasteful décor, spacious living quarters, and energy efficient technology. 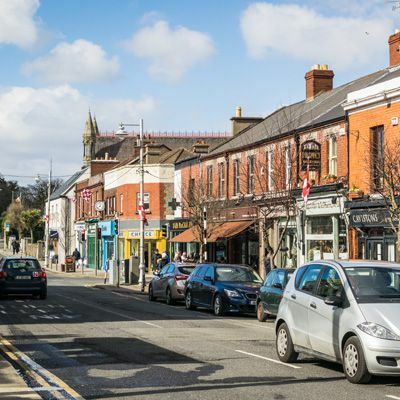 Glasthule Village Centre is outfitted with all conceivable efficiencies, including: retail shopping, convenience stores, supermarkets, pharmacies, health care facilities, post office, and numerous small and large businesses. There are also a number of delicious restaurants, cafes, and pubs, many serving fresh catch-of-the-day cuisine, as well as International dining options. Glasthule is also in close proximity to Dun Laoghaire town centre. The neighbourhood provides many opportunities for walking, cycling, picnicking, recreation, and leisure. Take a stroll along the coastline at Scotsman’s Bay, or visit the parks of: People’s, Formality at the Cowshed, and Dun Laoghaire. Glasthule is abundant in sporting facilities, including: National Yacht Club, Sandycove Tennis and Squash, Glenageary Lawn Tennis, and GAA Clubs, to name a few. Glasthule is within the catchment of Harold’s National School, and nearby well-respected primary and secondary schools include: St. Nicholas, Rathdown, CBC, and Holychild. Glasthule schools make academics a high priority, and school awards include: WCE Awards, Independent Schools Awards, and Universal Design Grand Challenge Student Awards. You can filter Glasthule properties by price, bedroom size, square footage and more. There is also the option to filter by a property must-have, such as high quality fnishes if you are seeking a house to buy in Glasthule where the appliances, flooring, fittings and fixtures are of a higher standard. You can also check apartments for sale in Glasthule if you are looking for something a little smaller. Don't let the perfect apartment, townhouse or house for sale in Glasthule get away. Looking to rent in Glasthule? Search houses for rent in Glasthule and filter by home types, price and size.